CAN11 – Mountain Howitzer, full scale, 2-1/4″ bore, 275#, 37-1/2″ long. These barrels have been very popular due to their manageable size. The Mountain Howitzer is one of the first produced here at Hern Iron Works beginning in the 70’s! Like the others that Hern began producing at the time a common bore diameter was chosen and is undersize of the ordinance specification. The Hern barrel also has a straight bore, whereas the originals were large bore with a reduced powder chamber. The originals were also cast in Bronze, not Iron. Hern can provide a bronze powder coating for a nominal extra fee. Note pictures of customers bronze paint finish. Too large for UPS, upon paid order you will be contacted with a specific shipping quote to your desired address. This payment may be made over the phone or mailed in. 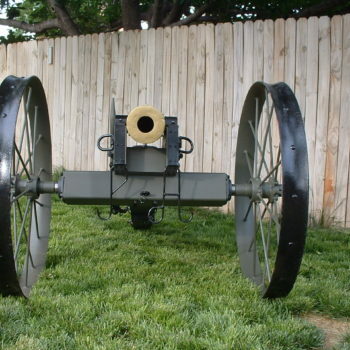 The Mountain Howitzer was a light, smooth bore cannon designed to shoot a heavy projectile with a light powder charge, contained in a sub-caliber chamber at the bottom of the bore. 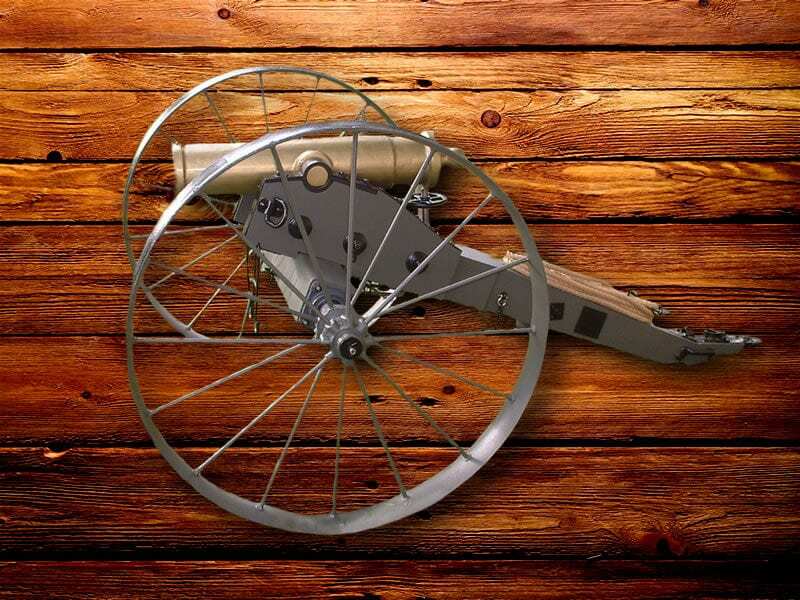 Because of its light weight, it was much handier than other cannons of similar caliber. Two howitzers held off an entire regiment during an action on the 2nd of June in 1865. 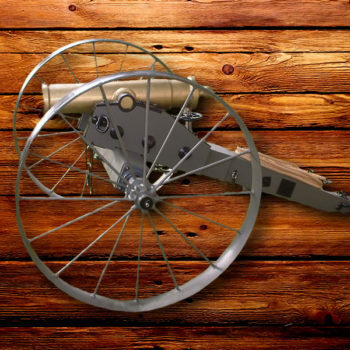 The Mountain Howitzer used a special light weight carriage, which could be taken apart and packed, gun and all, on three mules. These cannons saw use through the Indian Wars on the Western frontier where the mountainous country precluded the use of heavier field cannon. The Mountain Howitzer also was a favorite in the Mexican War where it could be deployed from roof tops in street fighting. Because these howitzers were packed on mule back, tales arose that they were also “Fired from mule back”! However, there have been no authenticated reports that this actually happened. BREECH: 7 1/4", CHEECKS: 7", TRUN D: 2 3/4', TRUN L: 2 3/4", TRUN OAL: 12 1/2", TRUN-CASC: 20 3/4"